I have heard various remixes of ‘Uncover’ since its release in January, I think that Richello’s version is the best that I have heard and thus felt it worthy of a post on the Sauce. The combined ages of the talent heard on this track is only 32 years. 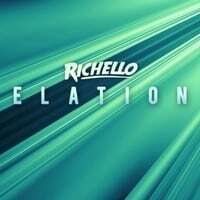 Richello is a 17 year old Norwegian producer and remixer and the vocals heard here are that of Swedish singer Zara Larsson who will be 16 later this year. If this remix is any indication to the young talent that is out there today, look out as we are in for a great ride.